Inspired by the life of musician Dave Van Ronk, much has been made of the feline symbolism embedded in this road movie about a young folk singer named Llewyn, who struggles to make sense of himself while making something of his musical career in the New York winter of 1961. A ginger tom joins the story when Llewyn accidentally lets it escape from a friend’s apartment. 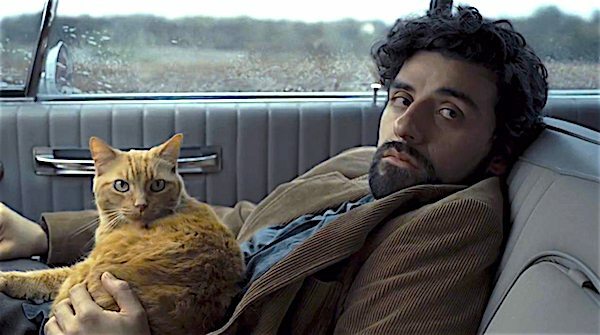 As the film progresses, Llewyn bonds with the cat, and the farther they go, the more mysterious their connection becomes. Directed by Joel and Ethan Coen.